Q: Do you suggest attempting to take out a business loan to finance a business that you have invested in although credit may not be good, personally? A. No, I don’t suggest trying to get a business loan to finance your business operations when you know your personal credit isn’t good. You’ll simply wind up generating an inquiry on your credit report, which will further hurt your credit rating, and still wind up getting turned down by the bank for a loan. Banks have gotten a lot stricter about to whom they extend loans and credit. And that goes for small business owners too. Invariably, your personal credit record is reviewed when a bank is considering a loan application, and you also are often asked to sign a personal guarantee for that loan. 1. Do seek “trade credit” from vendors and suppliers. 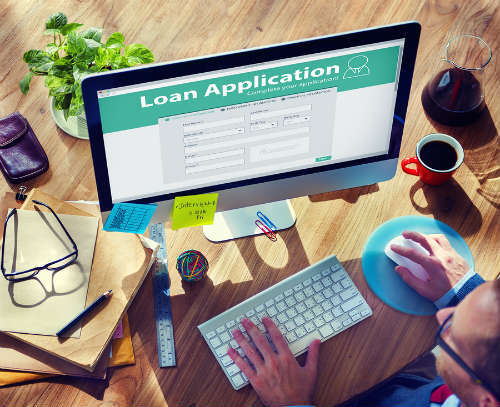 Too many entrepreneurs dream of going to a bank and getting a business loan or line of credit for their enterprise, but maybe you don’t need a traditional bank loan at all to launch or grow your business. If you can get your vendors and suppliers to agree to provide you with trade credit — i.e. the ability to pay for goods and services over time — you can creatively and more frugally run your operation. 2. Do request major funding long before you need it. Realize that getting money from “angel” investors and venture capitalists can be a longer-than-expected process; it often takes 6 to 12 months to secure. See the “How to Get Funding from Angel Investors” article from the Wall Street Journal. 3. Don’t feel compelled to buy everything. Ask yourself: Do I really need to purchase equipment, furniture, computers, etc? You may be able to get by, temporarily, by bartering, or even by renting and leasing equipment. And that’s OK! 4. Do get “buy in” from your spouse/partner. Many new (and veteran) entrepreneurs will tell you one of the biggest dream killers they’ve encountered is an un-supportive spouse. Make sure your partner is on board with your entrepreneurial ambitions. If not, you’ll face a host of financial arguments and money-battles that will be counter-productive to you building a business. 5. Don’t let your personal credit rating lapse. Amid the current environment, your credit standing is more important than ever. Guard it jealously. Pay all bills on time. Only take out loans/credit when you truly need it. The higher your FICO scores, the better loan rates and terms you’ll get when it is time to do business with a bank —or even just getting a corporate credit card. See moreon how to get your financial house in order. Smart entrepreneurs don’t “roll the dice” and risk everything. They take risks, but they’re calculated risks. Don’t gamble everything: 100% of your savings, your credit, putting your home up, etc. in the hopes that you’ll create a successful business. Be willing to invest in your business of course, but not foolishly, and not at the expense of everything else.